Keep San Antonio WARM this Holiday Season! 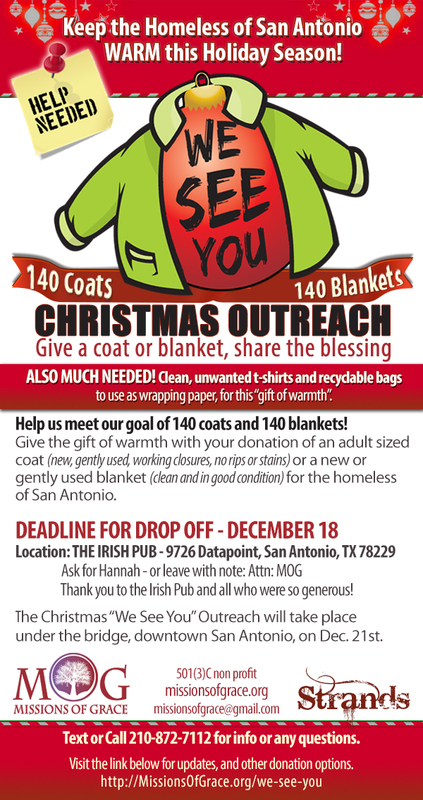 Location: THE IRISH PUB – 9762 Datapoint, San Antonio, 78229 | Ask for Hannah – or leave with note: Attn: MOG. Text or Call 210-872-7112 for info or any questions. 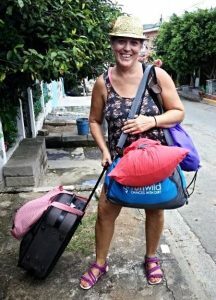 Email us or for other donation options, visit our donation page or contact us. The Christmas “We See You” Outreach will take place under the bridge, downtown San Antonio, on Dec. 21st. *Give the gift of warmth with your donation of an adult sized coat (new, gently used, working closures, no rips or stains) or a new or gently used blanket (clean and in good condition). This entry was posted in MOG Update by Cheri Mauldin. Bookmark the permalink.